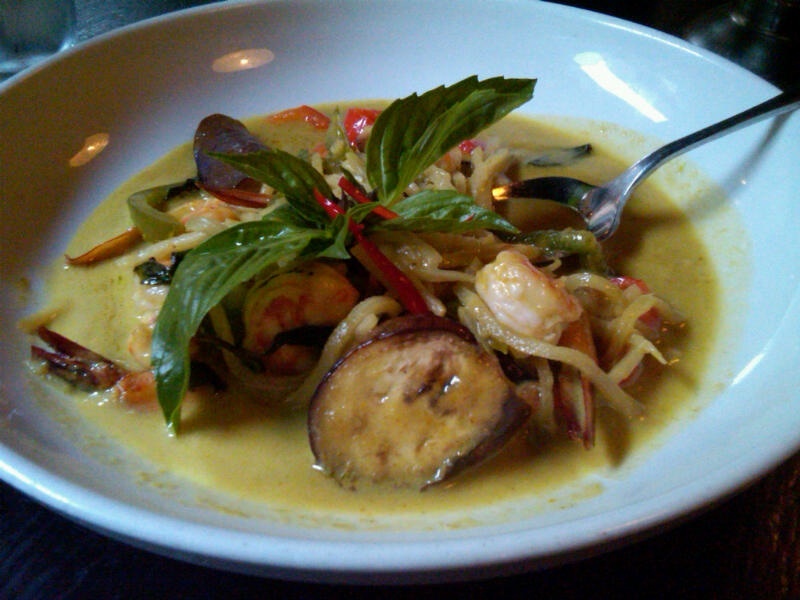 Lauren Loves to Eat: Green Curry at Sea Thai! Green Curry at Sea Thai! 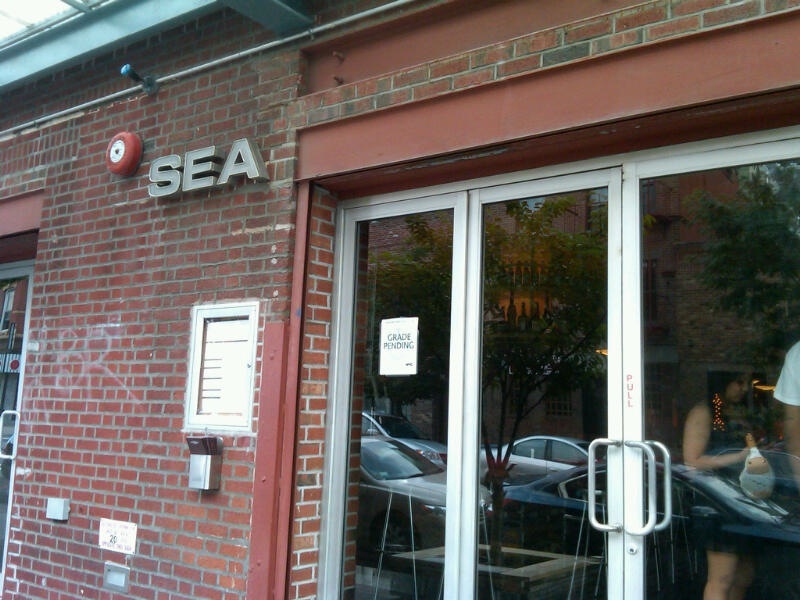 After a very long meeting in Brooklyn, my sister and I stopped by Williamsburg for dinner. She brought me to Sea Thai and I loved it. The dining room was very spacious and the decor was interesting. 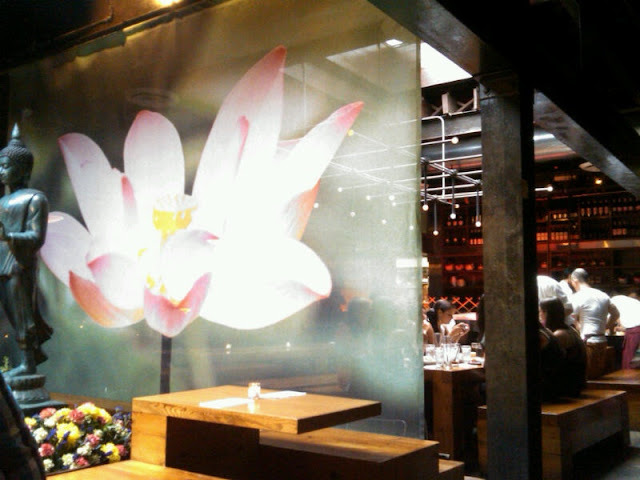 In each bathroom stall there were small tv screens displaying different parts of the restaurant in real time. 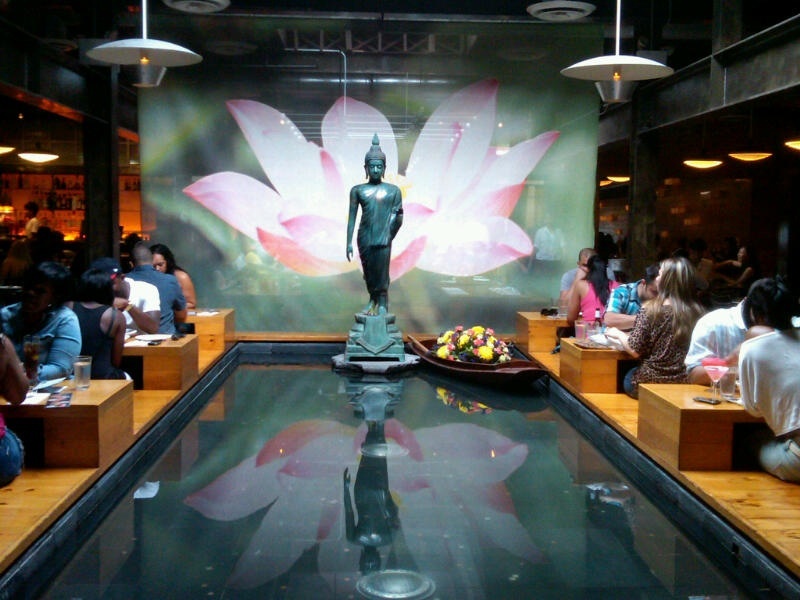 The large dining room with more tables and a bar on the other side of the screen. 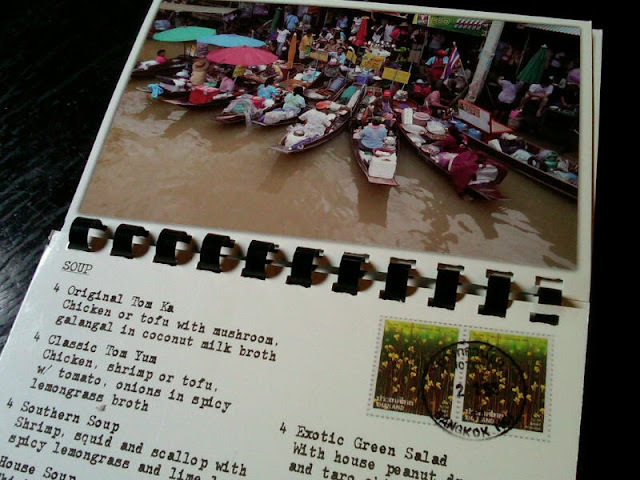 The menu was like a book of postcards with different pictures of Thailand on every page. 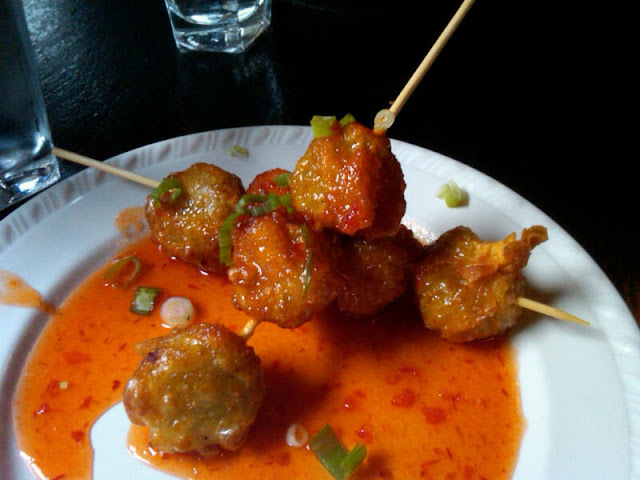 Tup Tim Fritters: crispy chicken and shrimp dumplings with sweet & sour sauce, $5. One of the restaurant's signature dishes. Patpong Green Curry with shrimp, eggplant and bamboo shoot, $10. (You can also order the curry with chicken/beef/tofu/vegetable for $9). Our very favorite green curry in life is found at Sweet Basil in Hong Kong. Since moving to New York I haven't found anything as impressive, but this one came pretty darn close. 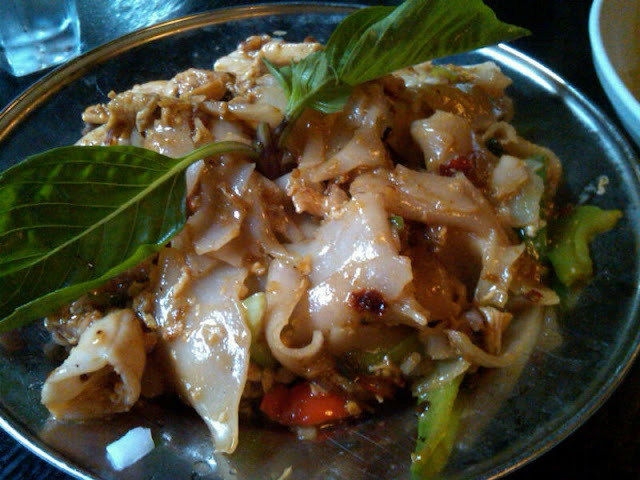 Drunk Man's Noodle with Chicken, shrimp and squid stir-fried with spicy basil chili and eggs, $10. Noodles are my favorite comfort food, and this sweet, spicy and flavorful dish is now one of my favorites. I have never tried this Thai Green Curry before. I am intrigued and am looking forward to savor it.